As said above, I'm making a Tetris clone, but I'll make the gameplay completely different from the original Tetris, by adding a lot of extra features. Because of this you won't need to create whole lines. Instead you have to mix & match with the extra features I'll add to remove part of the lines. 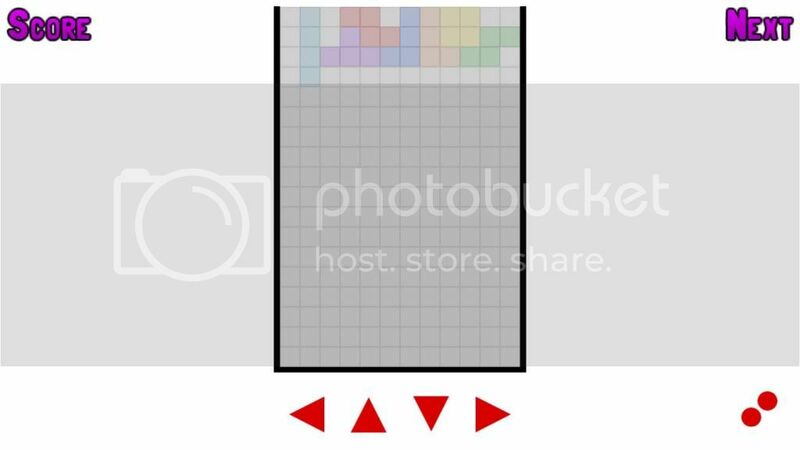 Aside from the regular Windows platform I'll also make this Tetris clone available for Android 2.1 and up (if possible so I can play it on my MP3 player as well ) and later on I'll I might as well port it to Mac and iPhone/iPad as well (if I can get a cheap Apple PC, or lend one). The timeline I'm planning to use (roughly) is pretty short for my 1st game. I'm aiming to have a workable concept of the game before the end of the year. This concept must hold all (basic) key features as I have them in mind right now, but without level, nice textures and sound. Yes, it'll be a real bare game that's there simply for testing purposes. A full working version I've planned for late April next year. Till that time I'll add all features missing in the bare concept and if possible I'll add even some more features that'll make the game more fun as well as harder to play (I'm not making easy-to-play games ). And why late April next year..? I want to present my game as my 45th b-day to the (gaming) world!